Who ate all the leaves in the beloved garden of Brahma, the Lord of Creation? It was the caterpillar! What happens when Brahma's curses the caterpillar? 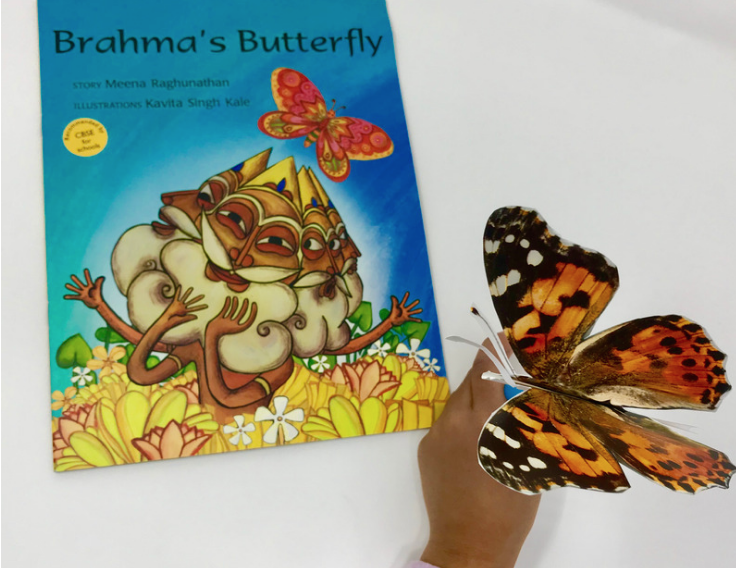 A reimagined myth of how a caterpillar becomes a butterfly! Activity:Can your butterfly flap its wings? This month we focus on the E in STEM. How do we get a butterfly to flap its wings? Working like mechanical engineers, we explore motion and build a small contraption! This contraption is inspired by Padmashri Dr. Arvind Gupta who ingeniously builds toys from trash!